Wednesday, March 13: Bearden plays Franklin in a quarterfinal at 6 p.m. local time. Halftime: Franklin 21, Bearden 19. Bearden then outscored Franklin 27-2 in the third quarter. Final score: Bearden 76, Franklin 46. 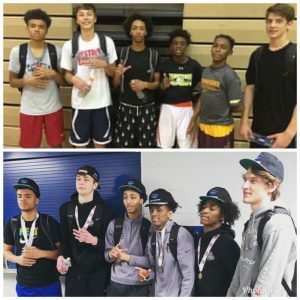 Thursday, March 14: Bearden has an off day to begin preparing to take on four-star recruiting prospect Matthew Murrell, 7-foot-4 Jordan Wilmore, and the Whitehaven Tigers. 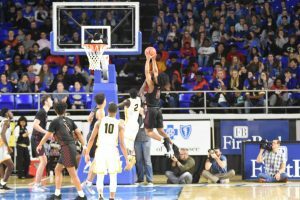 Friday, March 15: Bearden plays Whitehaven in a semifinal at 1:15 p.m. local time. Coach Parrott gives a pre-game speech about nerves that eventually goes viral on social media. Halftime: Bearden 41, Whitehaven 28. Whitehaven closes the half on an 8-0 run. Final score: Bearden 76, Whitehaven 60. Bearden stays at the arena to watch Memphis East beat Brentwood 46-42 in the other semifinal. 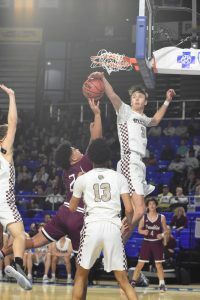 Saturday, March 16: Bearden plays Memphis East in the state championship game at 3:30 p.m. local time. End of first quarter: Memphis East 19, Bearden 10. End of third quarter: Bearden 51, Memphis East 45. 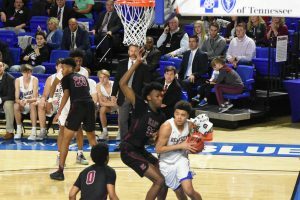 Final: Bearden 83, Memphis East 68. Andrew Peters, Ansley Pacetti, Jared Langford, and Logan Mize conducted the interviews. The Bark would like to offer a special thank you to Tammy Kregel for allowing us to use her photography.